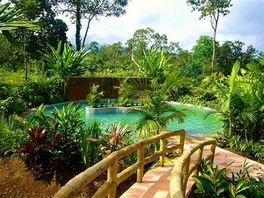 Blue River Resort & Hot Springs is a mountain rainforest resort on the north side of Rincon de la Vieja volcano in Costa Rica across from the spectacular River Celeste. 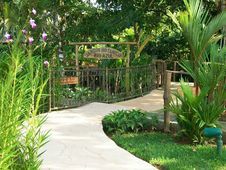 Discover an unspoiled paradise, featuring gorgeous natural mineral hot springs pools, a fresh water pool and bullet waterslide and the rainforest botanical gardens with over 800 different varietals, the orchid garden, the butterfly farm, the humming bird center, frog, fish and turtle ponds. Check out the treatments available then spoil yourself at the full service Blue River Spa. Just make sure to book your spa treatment ahead of time to assure availability.For the high energy person, exercise in the fully equipped gym and sweat it off in the wet and dry saunas. Good health is a matter of choice, not chance. This is the perfect compliment to the healing powers of the hot springs. 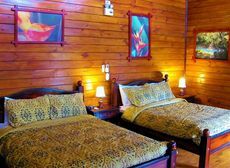 Blue River Hotel & Hot Springs Resort offers accommodation in new, spacious cabins. Each cabin contains two 720 square foot hotel rooms. The rooms offer two queen size beds, mini bar, safe, satellite TV, coffee maker, ceiling fans air conditioning. 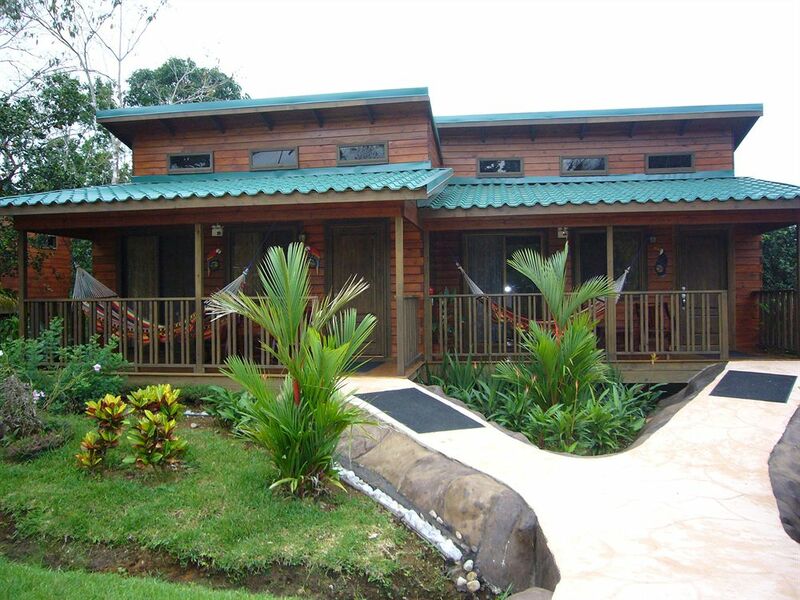 Lay out on a hammock on the large terrace overlooking the gardens and volcano. There is space for a family of 5 or four adults. 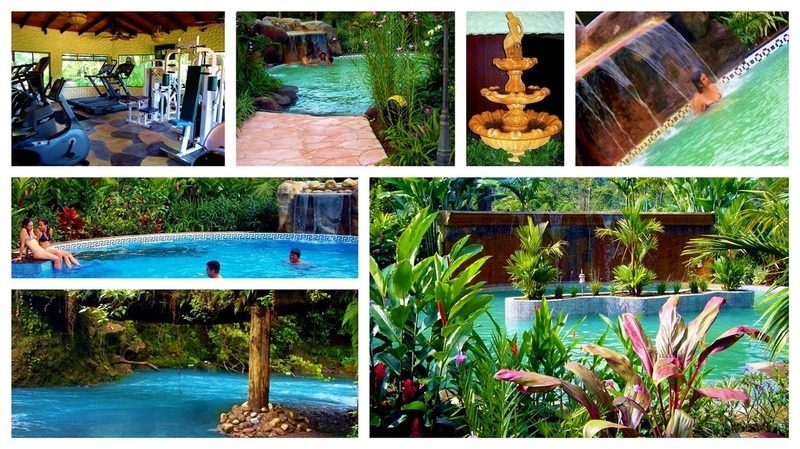 There is a stunning 26 acre private park that lies along the limpid blue river, Rio Penjamos. 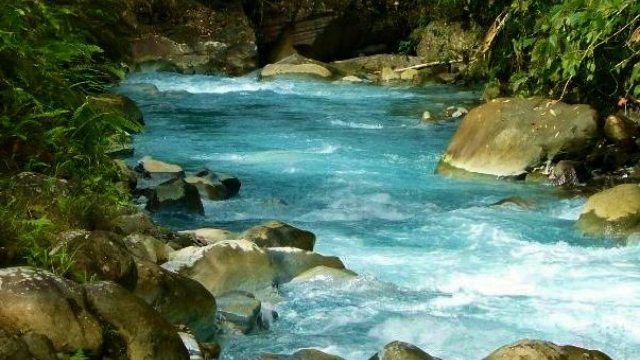 Beautiful waterfalls feed into the river and there are hiking and horseback riding trails.